Finally! After months of edits, I’m happy to reveal the cover and description for Demons of Sedona book number 3: Death Walker. It will be released on June 16th on Amazon, Barnes and Noble and Smashwords, with iBooks and Kobo coming soon thereafter. I’ve also got a very special offer for members of my mailing list, which I’ll get into below. But first, the book description! After being chased to the edge of the world by the imperial army, Tobin and Vera finally won. They found the lost city of Sedona and the warrior civilization that still that lives nearby, uncovered a plot to dethrone the king, and defeated the relentless Leggett. But their time in Sedona had unintended consequences, as they accidentally awoke the oldest demons in existence from a centuries-long slumber. And after being trapped behind a wall for ages, the demons are ready to be free and to feed upon the living. Now the entire world is in danger. To save it Tobin and Vera will have to dig deeper into the secrets of Sedona and its people. But something’s happening to Tobin at the same time, something that might be worse than death itself. Now as I said above, Death Walker will be released on June 16, but mailing list members will get an exclusive first chance to get the book early at a heavy discount. 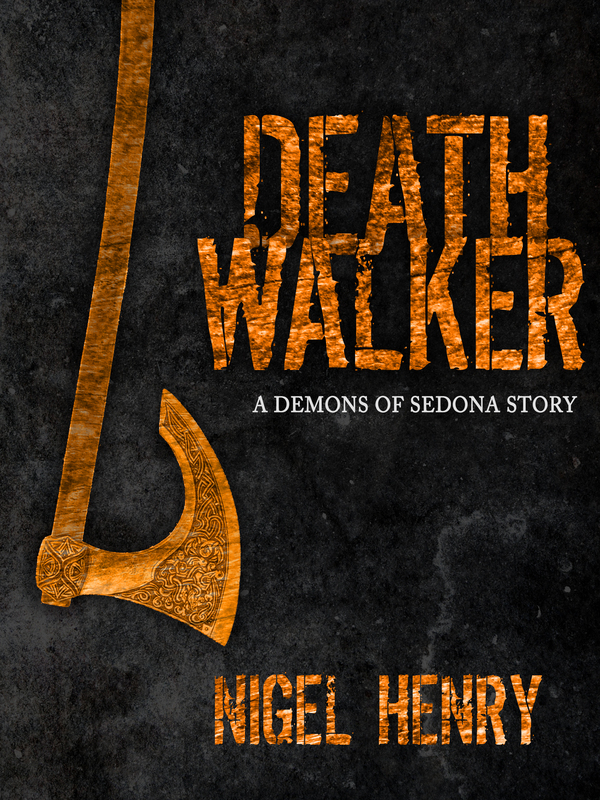 In addition to that, I’m also going to make sure that everyone is up to date on the series by giving my members a free copy of Demons of Sedona #2: From Death. If you want in on the savings, just head over to this link: bit.ly/nigelhenrybooks and sign up. I can’t wait for you guys to get your hands on this story, and I hope you enjoy reading it as much as I enjoyed writing it.